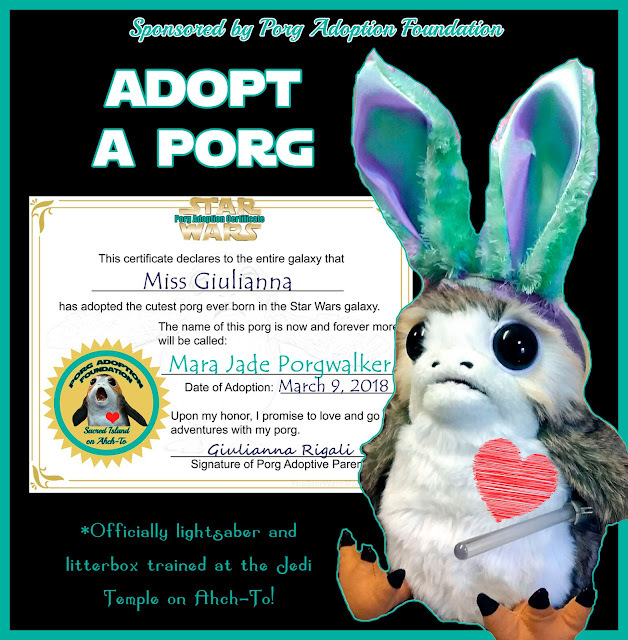 These are appropriately named after Saw Gerrera, technically one of the founders of the Rebel Alliance. 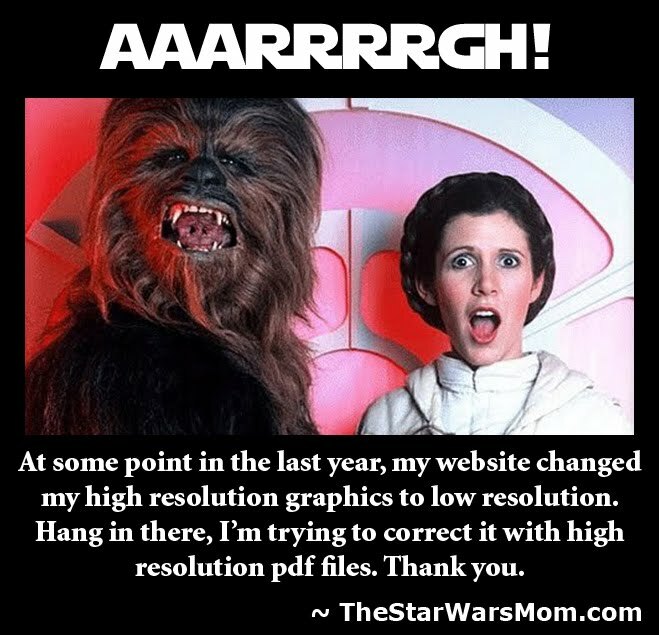 He spent many years as a Resistance fighter. He is known for being a bit tart, intense, and yet a sweet side too. Enter Saw Gerreman Pancakes Recipe and Food Label (yes, his name is pronounced with a hard "G," so we do the same with this recipe name). Many people are surprised to learn how easy it is to make German/Dutch Baby Pancakes. You can either whisk or blend the batter. Blending is easier, but some find it doesn't puff up as much with that method. It takes about 30-40 minutes from start to plating this scrumptious hot breakfast. This recipe is adapted from a recipe I started using from The New York Times years ago for a Dutch Baby Pancake. I had never tried one in a restaurant, but I knew it was simple enough for anybody to make. Of course they use the traditional cast iron skillet method, but I usually have to double the recipe and make two 13x9 pans of this to feed the family. 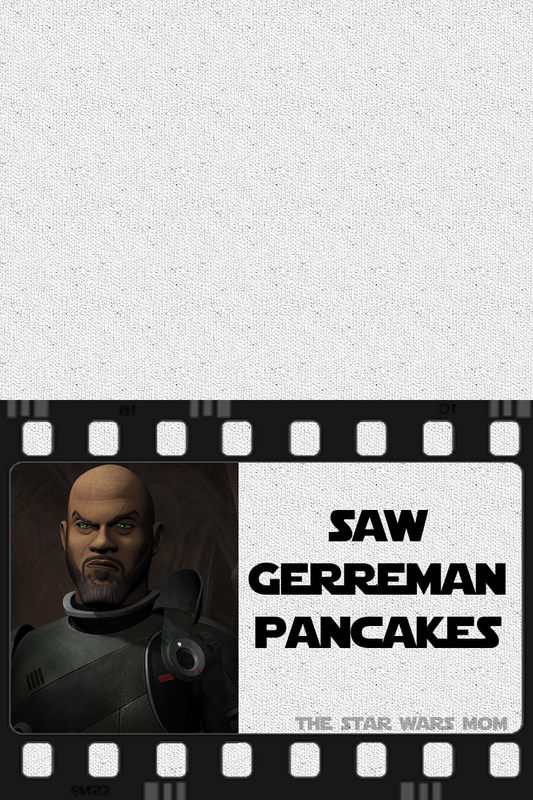 Don't forget to print out the free food label for Star Wars Rebels Saw Gerreman Pancakes. These yummy German Pancakes also known as Dutch Baby Pancakes are easy to make and a delicious breakfast treat! You can top them with butter, confectioner's sugar, and fresh squeezed lemon juice. To veer away from the traditional try syrup, cinnamon sugar, fresh fruit, etc. 1. Preheat oven to 425 degrees Fahrenheit. 2. Place 4 tablespoons of butter in 13x9 pan. Place in oven for about 1-2 minutes, just to melt butter and swirl around in pan to coat bottom and sides. 3. While oven is preheating put eggs, milk, flour, nutmeg, and 2 tablespoons of confectioner's sugar in blender. Blend until well mixed. Use a rubber spatula to wipe flour from sides and then blend some more. 4. Pour batter in preheated/buttered 13x9 pan. Place in preheated oven and bake for about 20 minutes or until Gerreman Pancake is golden and puffed up. Turn off oven and leave it in for 5 extra minutes. 5. 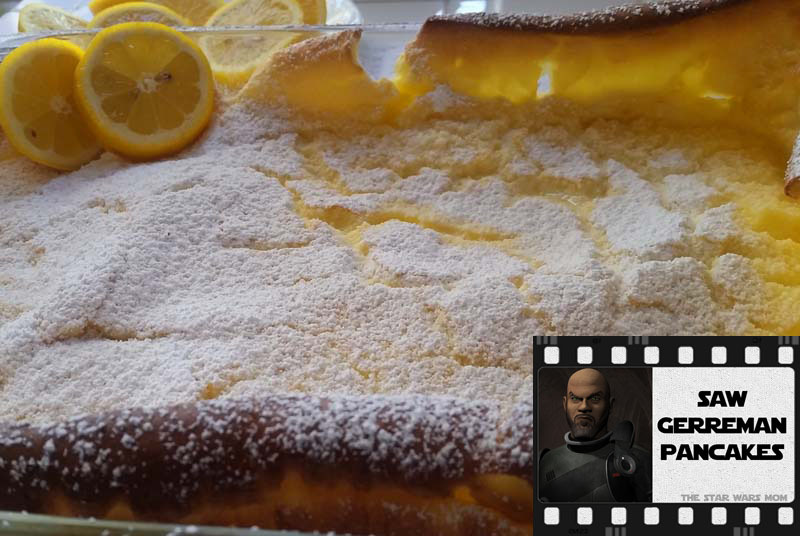 Remove from oven and immediately slice and serve pancake on plate with butter melted on top, sprinkled with a generous amount of powdered/confectioner's sugar, and fresh squeezed lemon juice or any other toppings you choose.